Whatever your company sells, location based marketing is the absolute channel for distributing you wares effectively. Given this, there is no more “local critical” market than that of real estate. Realty Biz News, in partnership with The Location Based Marketing Association (LBMA), will present informative webcasts and “101s” to help your business take off locally, digitally, and in mobile. 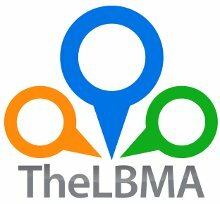 By way of introduction, The Location Based Marketing Association is an International organization of marketing and ad professionals dedicated to studying, education, sharing and growth of location specific opportunities. Founded by marketing and tech startup veteran Asif R. Khan, the LBMA conducts research and distributes case studies such as the recent one dealing with local engagement for Q4 2012 across the restaurant, retail and hospitality sectors. LBMA also conducts and attends key conferences around the world, as well as producing highly informative podcasts like the one you see below, “This Week In Location Based Marketing – Episode # 117″. Later on we will offer more information about Asif, profiles of members of the association, and data aimed at helping professionals in the property industry better adapt to the rapidly changing marketing landscape. For now, I hope you glean good information from Asif and guest Rob Woodbridge, Founder of Untether.tv. Unquestionably the location based advertising on local classifieds will always outdo a generic SEO organic search result as these leads from classified ads are specifically searching for a property and are far more amenable to give up their info to find out more about the property.